We Are Smarter Than Me, How To Unleash the Unleash the Power of Crowds is one of the “older” books when it comes to crowdsourcing, as it has been published in 2008. The authors, Barry Libert (investor and strategic advisor) and Jon Spector (Vice Dean and Director of Wharton Executive Education), explain in their introduction that since “there is no practical guide to translate [the concepts of crowdsourcing, wikinomics and open source technology] into usable tools and techniques,” this book would “fill the gap, describing in detail how businesses of all kinds can make the wisdom of the crowd work for them.” But I must admit that I closed the book disappointed, here’s why. I stumbled across this book while researching for the crowdsourcing timeline, because it talks about a crowdsourcing initiative by Mastercard (p.70), one of the world’s most valuable brands. “A pioneer in [using crowdsourcing for marketing] was Mastercard,” they explain, “which invited visitors to its web site to create their own versions of the highly successful “priceless” ads.” The problem is that the book doesn’t provide any precise dates or results, which didn’t help. 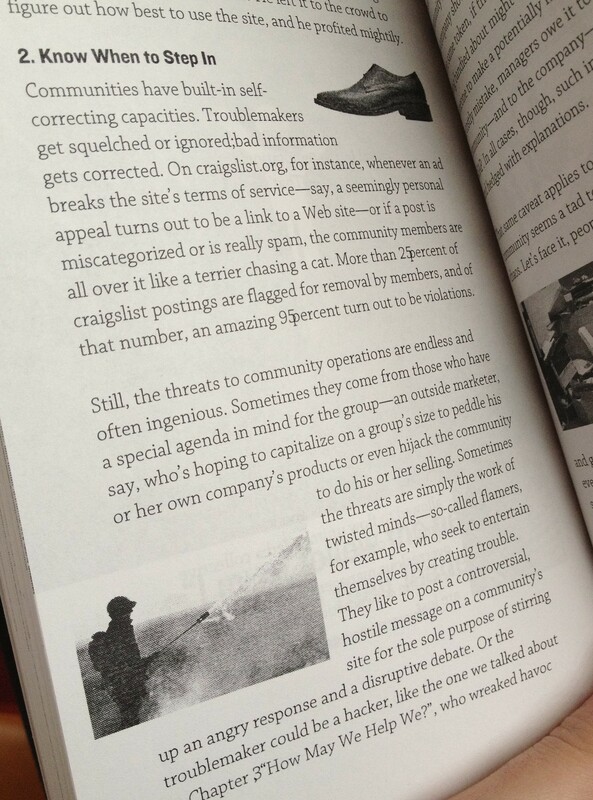 So I couldn’t add it to the timeline… but I could read it and learn about crowdsourcing, which is a cool side effect. My first remark is that it’s a book about the trends of collaboration, web 2.0, online communities and new business models, not only crowdsourcing as I would narrowly define it. It the eight chapters, the authors describe a variety of examples around product development (Brewtopia, P&G, SugarCRM…), customer service (Cookshack, Intuit…), marketing (P&G, Mastercard…), content aggregation (iStockphoto, Current TV…), lending and funding (Prosper, Zopa, Commonangels…) or management (The Business Experiment…). Hence, I think it’s useful to underline that those who look for something precise and narrow will be disappointed as it’s about pretty much every type of initiative that involves lots of people! In 2005, [Jeff] Bezos created a web site to enroll volunteers in the task of finding duplicates among the millions of Amazon web pages – a task that his software could not handle. The volunteers were given a few cents for each duplicate page they found. The process worked well, so Bezos turned in into a business. The web site was renames Mturk.com, and Amazon invited software developers to tap into it for such tasks as finding specific objects in photos, translating text, and judging the beauty of a scene or object. Later in the book (p.124), the authors say that there were “more than 200 [ideas] under development by the Cambrian House community without any interference from the company itself” at the moment the book was written, which was 2007. Well it turns out that Cambrian House eventually failed, sold part of its assets and continued to sell “crowdsourcing in a box” (licensing its technology to other sites that want to make a go at crowdsourcing, Techcrunch explained) under the Chaordix brand (see also here). This is an interesting evolution, one that French start-up Crowdspirit could not take when it failed. That’s about the content: An interesting book that illustrates the general community and crowdsourcing phenomenon with early examples. Even if it’s all over the place, I think it was a useful book back then, which is already a little outdated (things move fast, very fast!). About the form, I have a more critical opinion as it features 2 or 3 illustrations per page, throughout the whole book. This is not only annoying, but it also makes the book appear as cheap. Easy word plays (“Know when to step in” is illustrated with a shoe, for example) are immediately accompanied by stock photography illustrations… why?! It’s just so annoying. Another remark is that in the last 20-30 pages of the book, there are an awful lot of editing errors, as you can see below. Whatever your feeling are about this book, we urge you to continue your exploration of the crowdsourcing phenomenon. It is the wave of the future, and you should be riding it. Reblogged this on Open Innovation and Co-Creation.